Get the help you need. The first step to completing a great kitchen or bathroom renovation is recognizing that you will probably need help. You may be an expert at fixture installation, but what about plumbing? A professional remodeler is already familiar with the process, and will work with your budget. Find your style. If you want your renovation to look complete and match your home’s design, planning is key. Browse magazines and online inspiration (like our recent projects), look at every option available and consult with your designer before any installations to make sure the final result is a style that you will be happy with for years to come. Don’t cut corners. 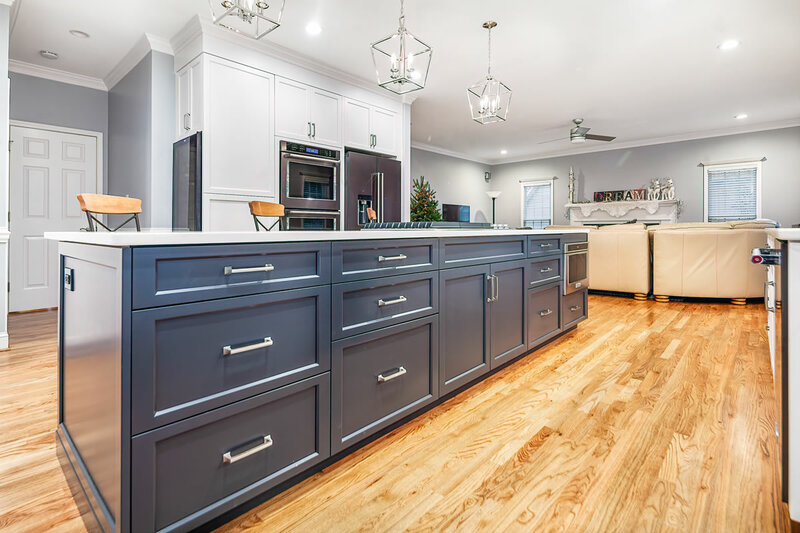 If your contractor is sacrificing quality materials to save on time and money, your renovation won’t come out looking any better than a standard, cookie-cutter bathroom or kitchen with plain cabinets and boring hardware. Why switch out a shower with dated tiles and curtains for one with low-quality box-store aluminum framing? Stay involved in the process. Remember, there are no dumb questions. Be as involved in your renovation process as you can to avoid results you aren’t completely happy with. Voice your concerns and ask any questions you have along the way! As a design-build remodeling contractor, Detailed Interiors works closely with homeowners to customize plans that fit their needs, and style. Our in house CAD design services include: plans, elevations and 3D modeling. We use our extensive experience in construction and design to ensure the developed design will work with the client’s budget. If you’re ready to take on your kitchen or bathroom renovation, give us a call at (704) 844-6757, or use our online contact form.